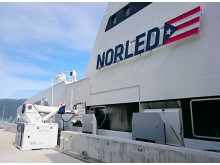 A MoorMaster™ unit moors the Electra hybrid ferry, as the Automatic Plug-in System readies to charge the vessel. 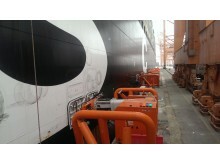 The Electra, operated by FinFerries, is 90m long, 16m wide, and carries up to 90 vehicles. 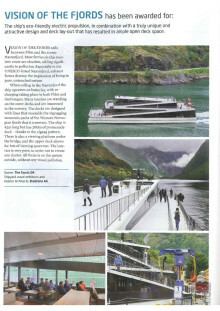 It makes crossings at 15-minute intervals during the day, and one round trip per hour at night, year-round and in all weather conditions between Parainen and Nauvo in southwest Finland. 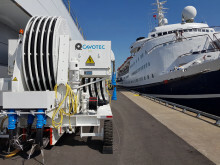 For this application, Cavotec engineered a fully integrated automated mooring and charging solution consisting of a MoorMaster™ system and an automated charging solution – a Cavotec APS tower – at each berth to moor and connect the Electra in less than 30 seconds. 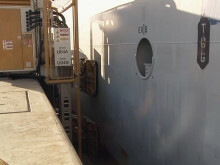 The MoorMaster™ units will signal to the APS systems when the Electra is securely moored, before a laser sensor then guides the connector to a hatch in the side of the vessel where it connects to the ship’s battery to begin charging. 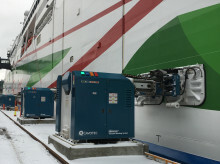 “APS automates the charging of the vessel with the touch of a button,” says Sofus Gedde Dahl, Cavotec Global Systems Specialist, E-ferries. 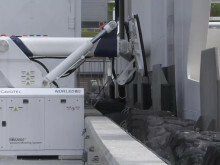 APS connects cranes, ships and other mobile equipment to electrical power. 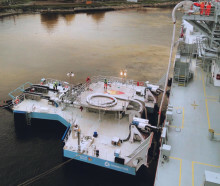 In this e-ferry application, the system ensures quick and reliable connection, maximising charging time and optimising vessel and battery pack design, thereby vessel weight and operational costs. MoorMaster™ automated mooring eliminates the need for mooring lines with automated vacuum pads that moor and release vessels in seconds. 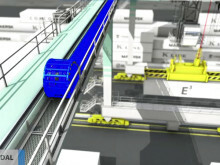 “The introduction of MoorMaster™ and APS will ensure substantial improvements in terms of safety, efficiency, and environmental performance,” explains Jakob Tolsgaard, Cavotec MoorMaster™ System Specialist, Europe. 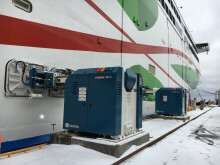 Cavotec has installed these systems at a number of similar e-ferry applications in Norway, and we’re seeing growing interest in the automation of mooring and charging of vessels across the industry. 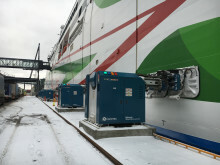 Earlier this year, again in Finland, a number of Cavotec MoorMaster™ units entered service at a major ferry terminal at the Port of Helsinki. 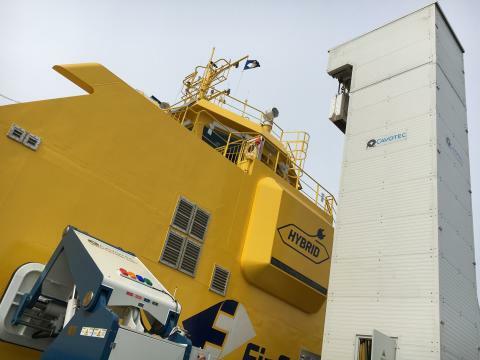 We’re exhibiting at Electric & Hybrid Marine World Expo this week in Amsterdam, (booth E3080), but if you’re unable to attend, you can learn more about our solutions for electric and hybrid ferries at: cavotec.com.